Honorable Robert L. McGahey Jr. The Second Judicial District Commission on Judicial Performance, on a vote of 10-0, recommends that Judge Robert L. McGahey Jr., BE RETAINED. Judge McGahey was appointed to the Denver District Court bench in December 1999. 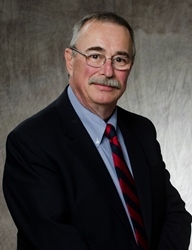 Judge McGahey earned his undergraduate degree from Princeton University and his law degree from the University of Denver. Before becoming a judge, Judge McGahey practiced as an insurance defense trial lawyer, where he tried over 100 jury trials. Judge McGahey engages in legal and non-legal community service activities, He has served numerous times as an instructor for the National Institute for Trial Advocacy at the Rocky Mountain and Southern Deposition Programs, the Rocky Mountain Regional Trial Program, the Rocky Mountain Children's Advocacy Program, and the U.S. Tax Court Program. He recently took over leadership of the Judicially Speaking Program for the Denver Public Schools. Judge McGahey also teaches trial tactics as an adjunct professor at the University of Denver Sturm College of Law. He has also taught at the University of Colorado School of Law. During the present term, Judge McGahey presided over civil and criminal courtrooms and currently presides over a civil courtroom. The Commission reviewed survey results from lawyers and non-lawyers, the judge’s self-evaluation and two written orders, one oral order, and one appellate decision reviewing one of the judge's decisions. Selected members of the Commission observed Judge McGahey in court. The Commission then interviewed Judge McGahey. Of attorneys responding to the survey, 84% recommended retention, 8% recommended against retention, and 8% expressed no opinion on retention. Of non-attorneys responding to the survey, 89% recommended retention, 4% recommended against retention, and 7% expressed no opinion. Judge McGahey’s survey results revealed an overall combined average rating well above that of the combined rating of all district court judges standing for retention. While the attorneys rating Judge McGahey rated him slightly below the average for judges standing for retention this cycle, the non-attorneys rating Judge McGahey scored him well above the average. Reviewing the survey results, the Commission has concerns related to comments about Judge McGahey’s temper and impatience with lawyers appearing before him. Attorneys surveyed specifically appreciated Judge McGahey’s consistency in issuing criminal sentences, while the non-attorneys also appreciated the judge’s ability to maintain appropriate control over the courtroom and his willingness to make decisions without regard to outside pressure. The Commission is impressed with Judge McGahey’s innovative approach to resolving disputes among parties during civil cases, which he attributes to his ability to keep cases moving through the system.